OptiBac Probiotics For Women are advanced daily supplements made with two strains of probiotic cultures, Lactobacillus rhamnose, and Lactobacillus Reuters. 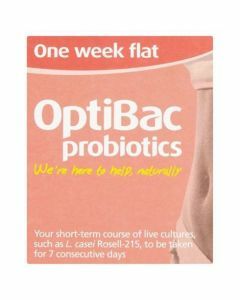 The OptiBac Probiotics 'For women' contains two highly researched strains, Lactobacillus rhamnose GR-1 and Lactobacillus router RC-14, which have been clinically trialled by over 2500 women around the world. 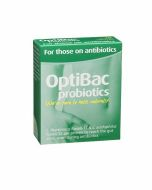 The two strains in this product are proven to survive to reach the intimate area. 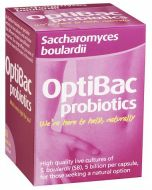 Containing two strains of natural bacteria. 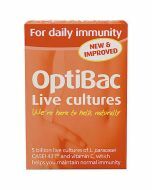 2.3 billion live cultures per capsule. 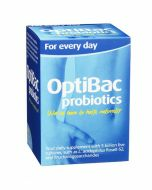 Suitable in pregnancy and menopause. 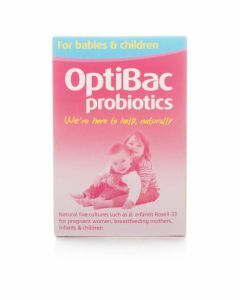 Vegan, vegetarian, no added sugars, yeast and gluten free. Take one or two capsules daily as desired, or as professionally directed. For ongoing use, one capsule a day may often suffice. Take with food, preferably with breakfast. For best results, take daily.